Muthoot Finance has recorded 1% growth in the net profit to Rs 485.25 crore for the quarter ended December 2018 (Q3FY2019) over a corresponding quarter of last year. The sharp increase in interest expense and higher tax rate mainly impacted the growth of the net profit in Q3FY2019. The company has improved the total income growth, while maintained the loan growth steady in Q3FY2019. The asset quality of the company also remained stable in Q3FY2019. Income from operations improved 8% to Rs 1717.11 crore in the quarter ended December 2018. Interest expense surged 25% to Rs 588.88 crore, while other expenses (including staff cost of Rs 198.03 crore and other expenses of Rs 134.96 crore) moved up 6% to Rs 332.99 crore. Ensuing Gross profit declined 1% to Rs 795.24 crore in Q3FY2019 over Q3FY2018. Depreciation eased to Rs 11.01 crore in Q3FY2019 from Rs 11.5 crore in Q3FY2018, while provision and write offs dipped to Rs 1.91 crore in Q3FY2019 from Rs 50.46 crore in Q3FY2018. PBT increased 5% to Rs 782.32 crore. Effective tax rate increased to 38.0% in Q3FY2019 from 35.6% in Q3FY2018. The net profit of the company rose 1% to Rs 485.25 crore in the quarter ended December 2018. Gross retail loan AUM of the company increased 15% yoy to Rs 32470 crore at end December 2018. Non-gold loans moved up 294% to Rs 677 crore of AUM at end December 2018. The net Interest margin (NIM) of the company, on calculated basis, dipped by 199 bps on yoy basis to 13.48% in Q3FY2019, while remained nearly stable compared with 13.57% in Q2FY2019. The Gross stage 3 assets of the company rose slightly to 1.96% end December 2018 from 1.91% end September 2018. The provisions as a percentage of gross assets were healthy at 1.8% end December 2018. CRAR ratio was at comfortable level of 25.74% at end December 2018. Branch network of the company increased to 4422 branches at end December 2018. Employee count increased to 24063 at end December 2018 from 23888 at end December 2018. Book value of the company stood at Rs 231.6 per share at end December 2018, while adjusted book value stood at Rs 230.3 per share at end December 2018. The consolidated loan book of the company increased 19% to Rs 36446 crore end December 2018. The loan book of subsidiaries jumped 65% to Rs 4027 crore end December 2018, while its share in consolidated loan book moved up to 11%. 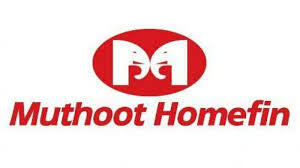 Muthoot Homefin, the wholly owned subsidiary, increased its loan portfolio to Rs 1835 crore as against previous year of Rs 1100 crore, a YoY increase of 67%. During the quarter, loan portfolio increased by Rs 60 crore, QoQ growth of 3%. Total revenue for Q3FY19 & 9M FY 19 stood at Rs 57 crore and Rs 163 crore as against previous year total revenue of Rs 36 crore & Rs 81 crore. It achieved a net profit of Rs 9 crore & Rs 30 crore in Q3 FY19 & 9M FY19 as against previous year profit of Rs 8 crore & Rs 16 crore. Its Gross and Net NPA stood at 0.74% and 0.59% end December 2018. Belstar Investment and Finance (BIFPL), an RBI registered micro finance NBFC and Subsidiary Company where Muthoot Finance holds 70.01% stake, grew its loan portfolio to Rs 1563 crore as against last year of Rs 945 crore, a YoY increase of 65%. During the quarter, loan portfolio increased by Rs 182 crore, QoQ growth of 13%. It achieved a profit after tax of Rs 25 crore & Rs 56 crore during Q3 FY19 & 9M FY19 as against previous year profit after tax of Rs 10 crore & Rs 22 crore. Its Gross and Net NPA stood at 0.95% and 0.41% end December 2018. Muthoot Insurance Brokers (MIBPL), an IRDA registered Direct Broker in insurance products and a wholly owned subsidiary company generated a First year premium collection amounting to Rs 62 crore & Rs 179 crore during Q3 FY19 & 9M FY19 as against Rs 22 crore & Rs 59 crore in the previous year. It generated a Profit after Tax of Rs 4 crore and Rs 10 crore during Q3 FY19 & 9M FY19 as against Rs 3 crore & Rs 6 crore in the previous year. The Sri Lankan subsidiary - Asia Asset Finance PLC (AAF) where Muthoot Finance holds 60% stake, increased its loan portfolio to LKR 1163 crore as against last year of LKR 975 crore, a YoY increase of 19%. During the quarter, loan portfolio increased by LKR 39 crore, QoQ growth of 4%. Total revenue for Q3 FY19 & 9M FY19 stood at LKR 71 crore & LKR 209 as against previous year total revenue of LKR 65 crore & LKR 188 crore. It generated a profit after tax of LKR 1cr & LKR 5 crore during Q3 FY19 & 9M FY 19as against previous year profit after tax of LKR 5 crore & LKR 14 crore. Muthoot Money (MMPL), became a wholly owned subsidiary of Muthoot Finance in October 2018. MMPL is a RBI registered Non- Banking Finance Company engaged mainly in extending loans for vehicles. The operations are now centered in Hyderabad. Recently, Company has started extending loans for Commercial Vehicles and Equipments. As on 31 December 2018 it has a total loan portfolio of Rs 187 crore. For the year ended December 2018 (9MFY2019), Muthoot Finance reported 8% rise in Income from operations at Rs 4998.49 crore. Other income declined 85% to Rs 1.73 crore in 9MFY2019. The total income improved 8% to Rs 5000.22 crore. Interest expense increased 10% to Rs 1625.79 crore, while other expenses moved up 15% to Rs 1054.58 crore. Ensuing Gross profit rose 4% to Rs 2319.85 crore. Depreciation declined 7% to Rs 30.14 crore, while provision and write offs plunged 96% to Rs 7.10 crore. PBT jumped 13% to Rs 2282.61 crore. Effective tax rate stood at 36.0% compared to 37.3%. The final bottomline of the company inched up 15% to Rs 1460.64 crore in 9MFY2019.